Dentures (also known as false teeth) are custom-made from plastic or metal and fit on the gum where a natural tooth has been lost. The process of making a denture often takes 4-5 appointments. At the first 1 or 2 appointments, your dentist will take impressions (moulds) of your mouth which will be sent to a laboratory where a dental technician will make the dentures in stages on models. At subsequent appointments, your dentist will try the partially made dentures in your mouth. 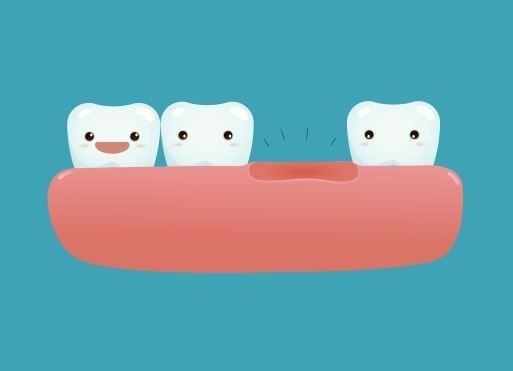 Many people feel embarrassed by gaps between their teeth when they smile. Replacing the missing teeth can often improve confidence. Dentures also help improve the appearance (aesthetics) of the face by providing support for the lips and cheeks. Chewing (function) can be improved by filling the gaps where natural teeth have been lost. An immediate denture is a term that describes a denture that is planned and constructed with the intention of placing it in the mouth immediately upon removal of teeth. This has the advantage of avoiding a waiting period with no teeth present which many patients would find difficult. Dentures can be difficult to get used to. They are not like your own teeth and it can take several weeks or even months to get used to them. Even the best fitting dentures only provide about 25% of the chewing power of your own teeth and some patients feel they have a mouth full of plastic, which takes some getting used to! Speech can also be affected for a while as your muscles and tongue get used to them. Ulcers often develop after dentures have been fitted as your mouth needs to adjust to having them in place. Your dentist will adjust the dentures over the first few weeks which will relieve any rubbing in the mouth. Daily cleaning of your denture is recommended. It is best to scrub your denture with an old toothbrush or denture cleaning brush over a basin of water. There are chemical cleaners that can aid with the cleaning process but it is best to discuss the different types with your dentist before use as some can cause deterioration of your denture. It is also important to leave your denture out of the mouth during sleep to allow your mouth to have a break. If they are left in place, there is a risk of fungal infections developing.